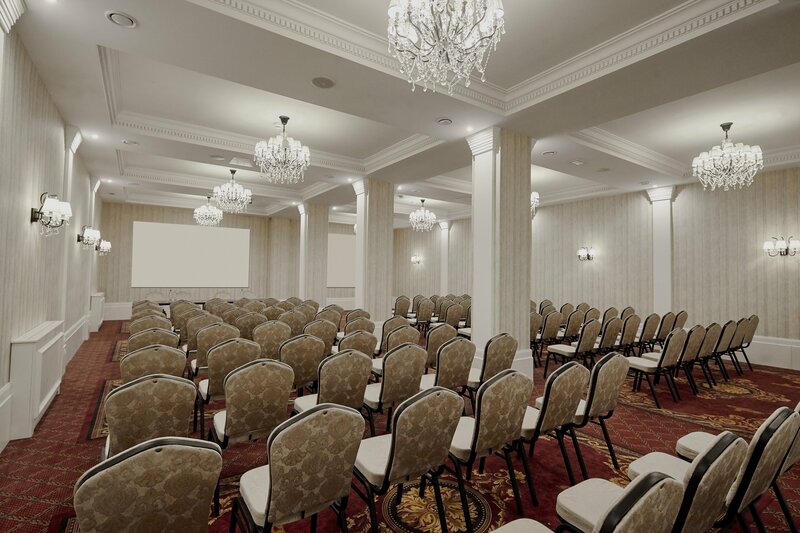 Our events and meeting rooms offer a truly unique atmosphere for our guests… it’s as if we were entering an enchanted castle. 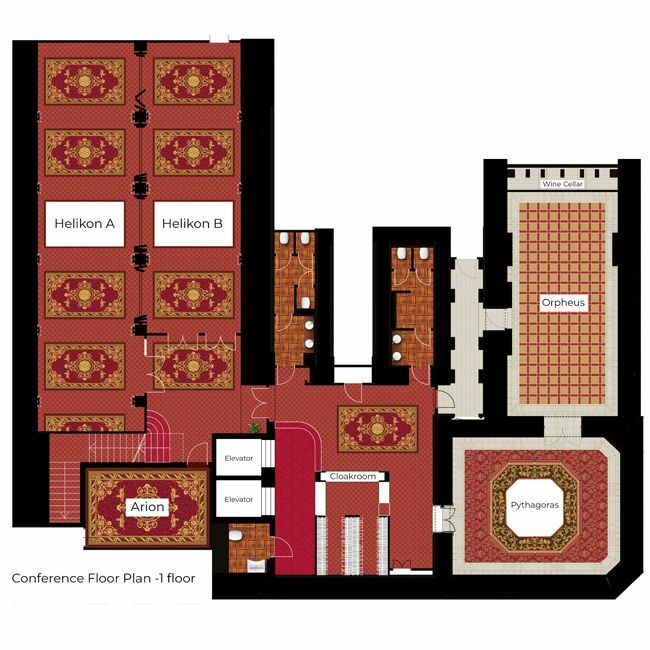 Our conference centre is located on the -1 level of the hotel and it is also accessible by a separate entrance on the ground floor. 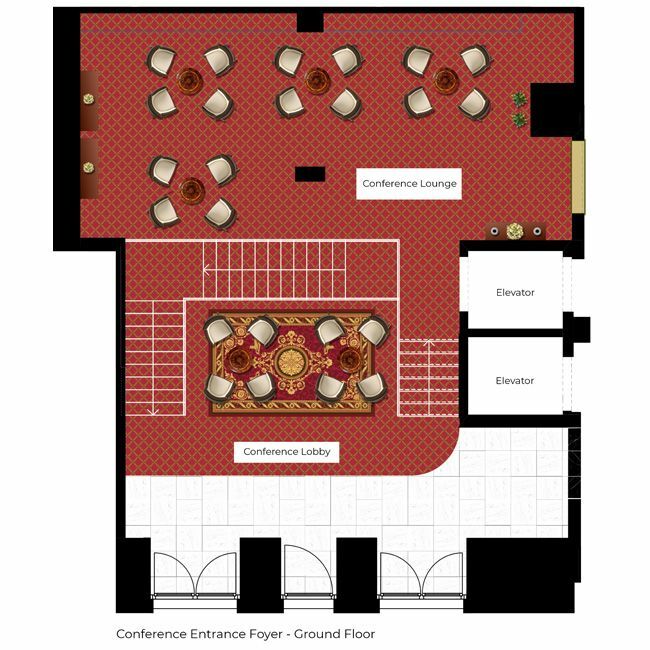 The lobby area on the ground floor is also suitable for welcome receptions. On the -1 level, conference rooms have a foyer and cloakroom. 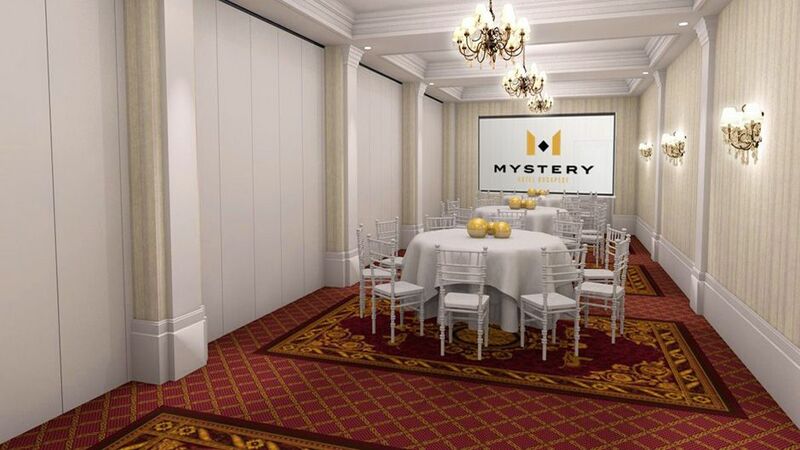 Mystery Hotel Budapest offers a truly unique event experience for every occasion, whether it is a conference, a social event or a private soirée. 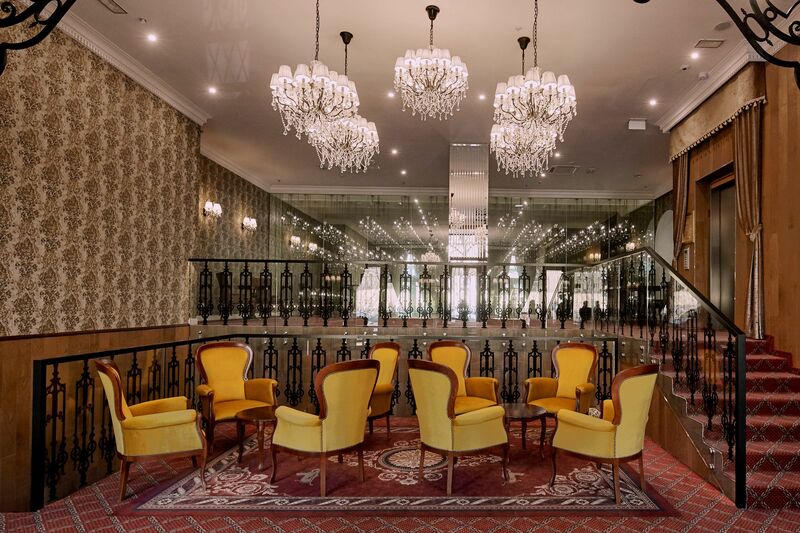 While entering the Lobby & Lounge of this enchanted castle, which is even possible through a separate portal, we find ourselves lost in infinity of thousands of chandeliers. 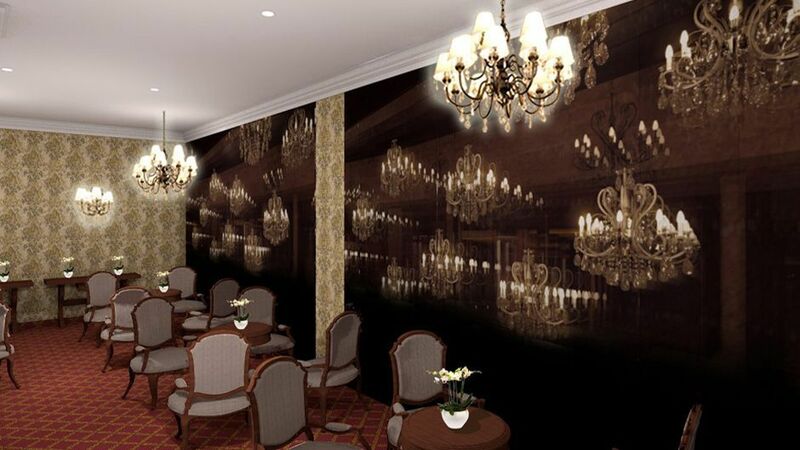 This mirror salon can be easily transformed into a mysterious welcome reception or a coffee break venue. 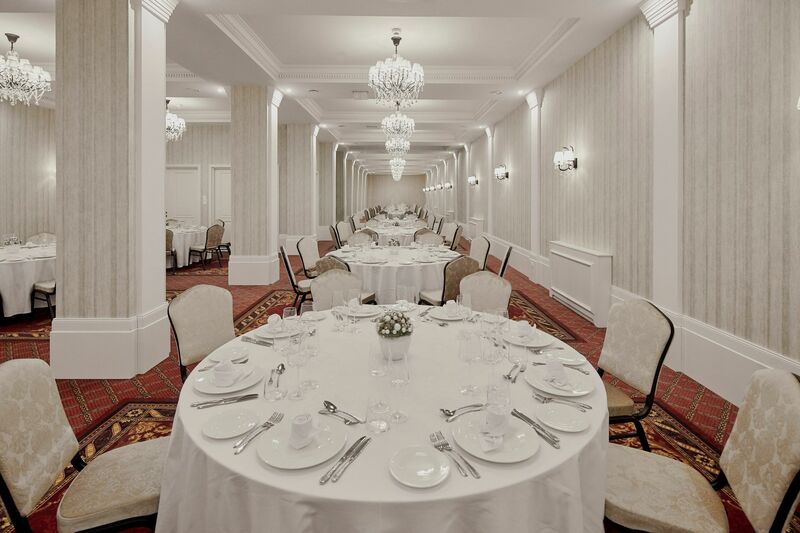 The style of the rooms is restrained with classical elegance, a perfect and unique venue for every event. 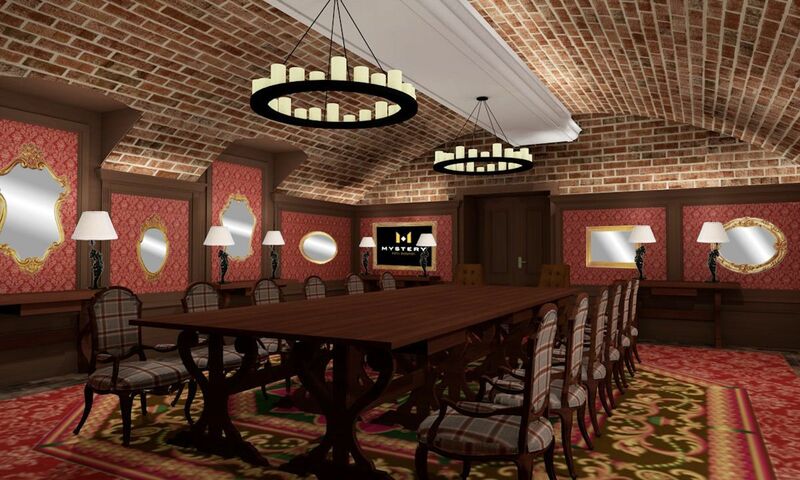 We can already begin to feel something is different at the entrance that the hotel’s meeting rooms…it’s as if we were entering an enchanted castle. The entrance area is like a mirror salon, where we do not know where we are. Behind the beautiful staircase we see the outlines of an endless room. 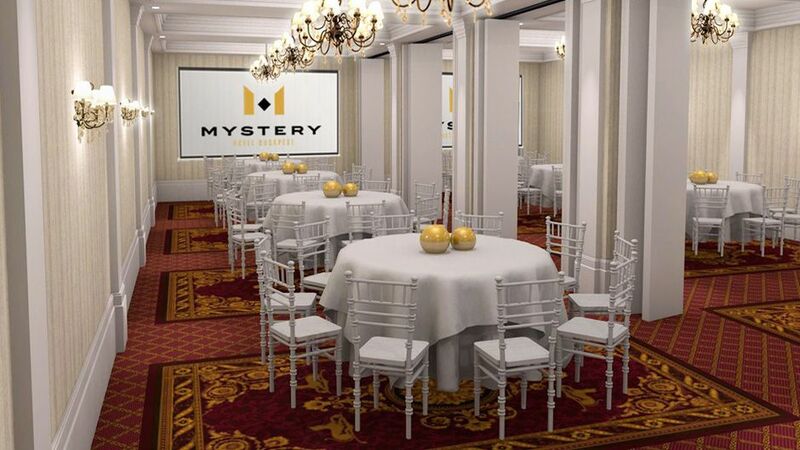 It looks, as if the hundreds of chandeliers are lost in infinity. 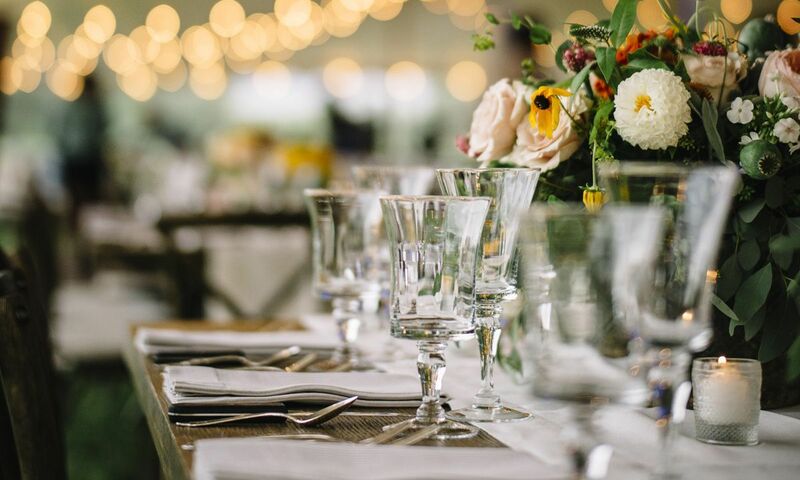 We can be sure that event guests will never forget their experience here. 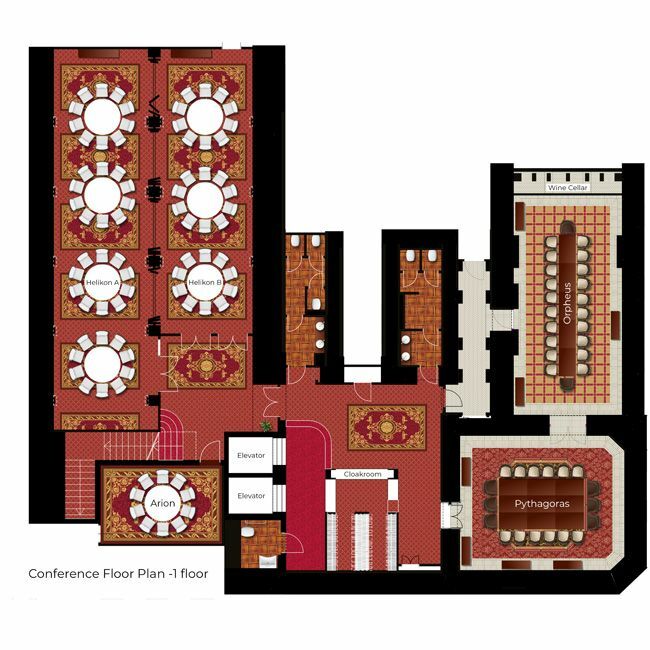 The hotel has a 161 m² hall, which can be separated into two (94 m² and 67 m²) respectively and can accommodate up to 140 people. The specialty of Pythagoras is that it is secured with a secret door. 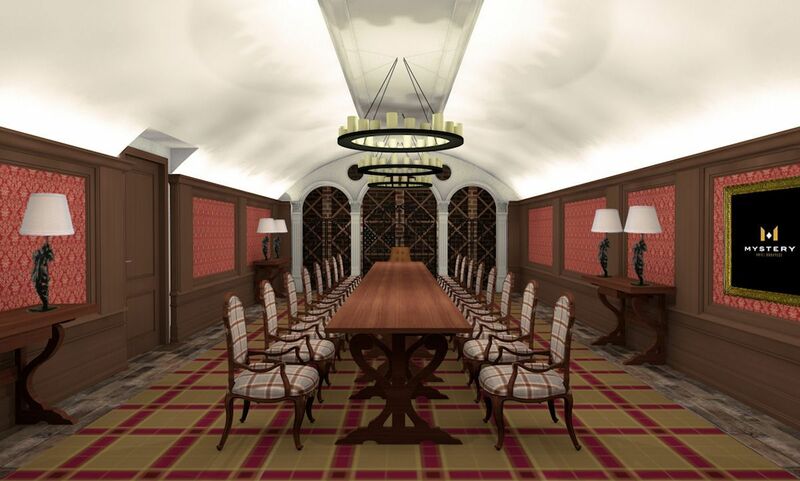 The wonderful vaulted room is covered with mirrors. 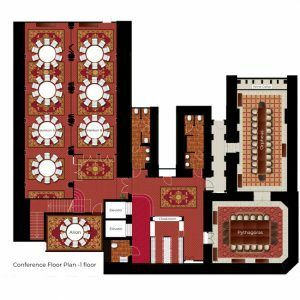 The room is 51 m²s and can accommodate a maximum of 36 in theatre-style seating. The Pythagoras Hall can be connected to the Orpheus room. 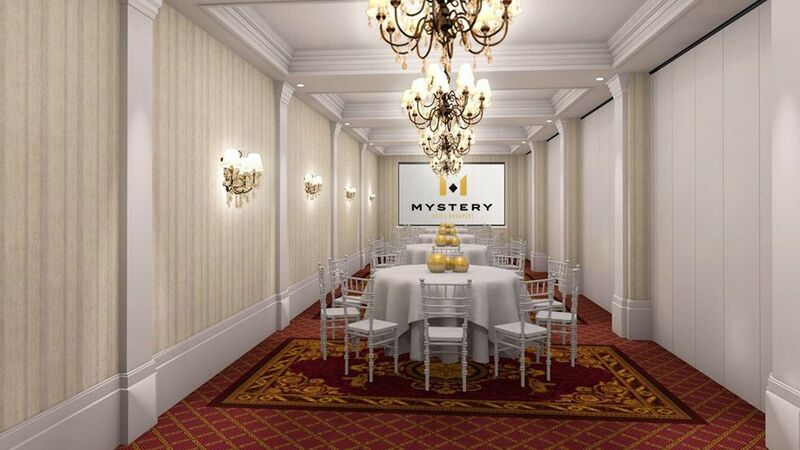 The room is perfect for exclusive dinners or corporate events. 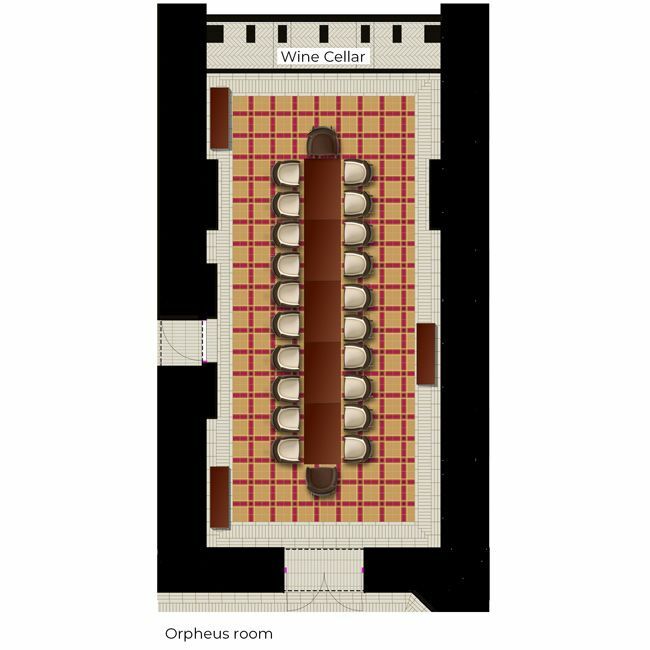 The style of the Orpheus room is very similar to the Pythagoras room, but the room’s patina is also raised by a wine vault. 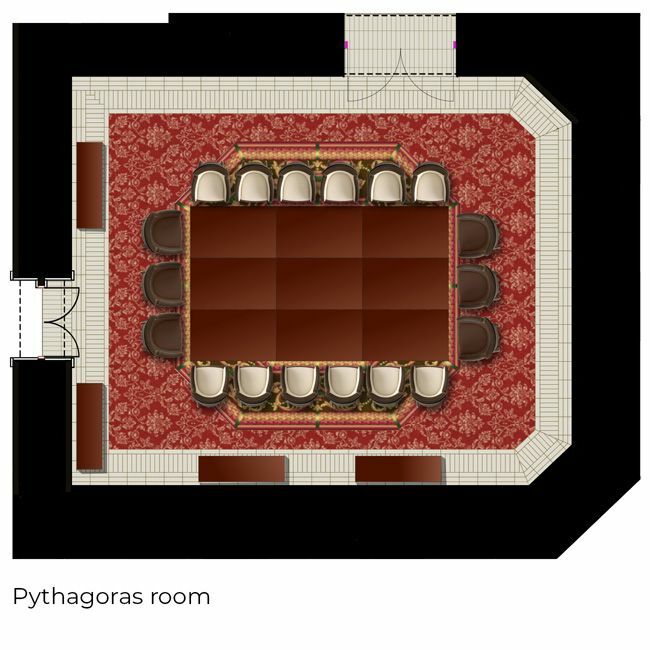 The capacity of the hall can be connected to the Pythagoras room for 22 people in a table-top arrangement. The connection happens via a single door. 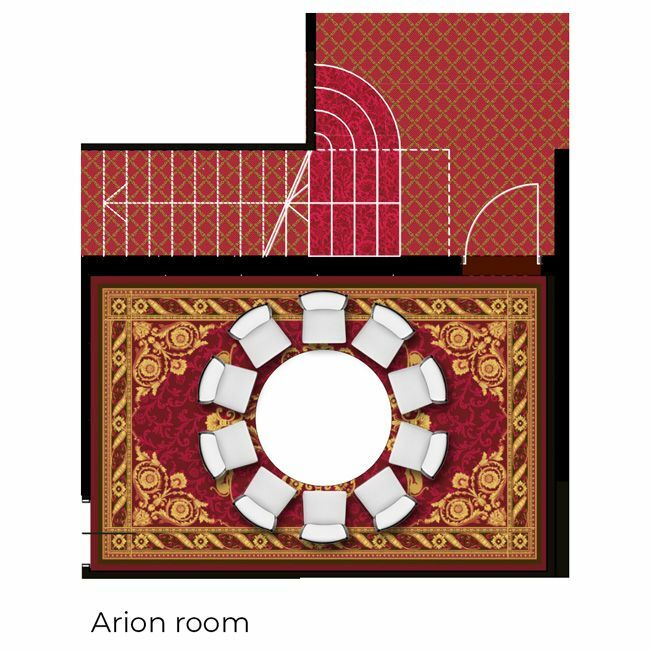 Arion is located right next to the Helikon room. 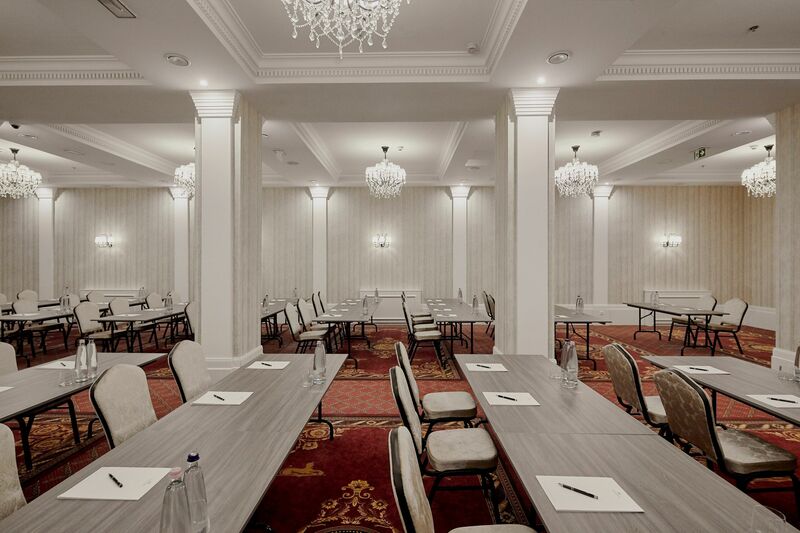 The room is ideal for smaller meetings up to a maximum of 15 people.